....boy oh boy! 3 weeks old and so alert, calm, and sweet! 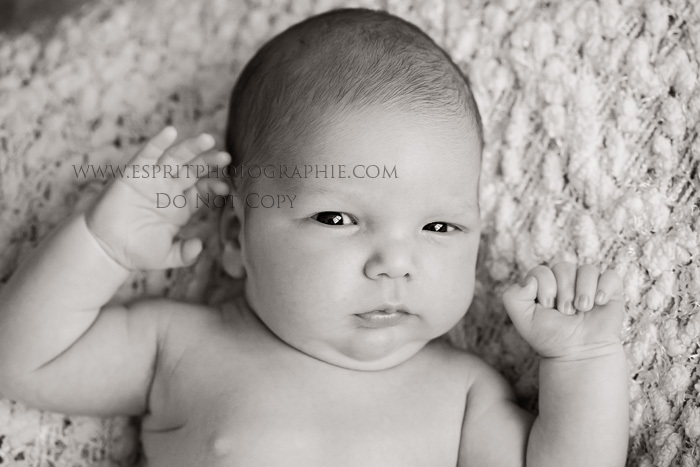 This handsome little man has given me such baby pangs - I just love his intense gaze and his chubby little toes....surely he's taking after that gorgeous big brother of his! Thank you, K Family, for sharing your new bundle of joy with me - it was such a pleasure! what a sweetheart!! the one with baby and big brother is beautiful!!! Great work. I love the one with big brother! Go for a girl! You make beautiful children! Oh my gosh, how precious. That shot with the brother I would be hanging huge in my house, gorgeous work!! Gorgeous session! I love your work. The one of the brothers is perfect! I'd love an image like that of my kids! Beautiful! That one with his older brother is precious! Stunning! I would so order these big, amazing job! The big brother one is amazing! Oh my gosh! That big brother shot is GORGEOUS! What an amazing set of images! Love, Love, Love these! What beautiful work! OMG! These are so amazing! I love them! Magical to say the least. Totally Gorgeous! Oh my goodness! Love them. Those are fabulous!! I bet the parents LOVE those!! I know I would!! What a beautiful job you did on these! I wish I had photos this awesome when my kids were born! Oooh - the one of the two children together is wonderful! I'd love to have something like that of my own girls! I love the one with the two children! So beautiful!! Great Job! Wow! Beautiful images, all are instant favorites! Beautiful images!!! I love the yawning baby with big brother. Those feet are precious. Nice work. Oh goodness, these are just lovely!! the one of the brothers together melts my heart. Gorgeous! OMG!!!! The shot of the 2 brothers is to die-for!!!! I hope the clients get the hugest canvas possible of that one & hang it proudly in their house!!! AWESOME. Wow. These are stunning. The one of the brothers is canvas material for sure! These are so beautiful! I'm sure their parents must be thrilled to bits! That one of the two brothers defintiely deserves a big spot above the bed!